What would you do if you found yourself faced with a few vegetable odds and ends, a half-filled mason jar of beans or legumes, and leftover canned chipotle chiles? For many people, this is often a major kitchen quandry. Are these items worth saving, or do we call them food waste? If you find yourself up for the challenge of cooking rather than composting I applaud you! How do you know what to eat and exactly how much? When I pose this question to participants during the “Nutrition Fact Label” workshop with the Stellar Farmers Markets program I get all sorts of responses- “I eat until I’m full”, “Until my plate is clear”, or even, “When the bag is empty”. We then take this opportunity to discuss how the nutrition fact label found on all of our packaged food tells us what is an appropriate amount for an individual to consume, especially being mindful of what constitutes one serving size. However, I always am sure to address the foods that don’t have labels- fresh fruits and vegetables- and how the more we consume these whole, unprocessed foods the greater chance we have to maintain our health. Decoding the nutrition fact label is tough enough for most of us, but we should be starting to ask ourselves: are there other, greater factors that should be guiding what we eat? Every five years bring about a revision of the Dietary Guidelines for Americans, and for the upcoming 2015 revisions, we see recommendations that aim to address some of those items found on food labels- such as reductions in sodium, fat, and added sugars- but it is the new proposal that addresses food sustainability that is garnering lots of attention. Many people wouldn’t think that all this buzz about climate change is linked to the food we eat, but it is! The system in which our food is grown, transported, and eaten is intimately connected with the health of the environment, just as much as it affects our own physical health. By incorporating sustainability recommendations into the 2015 Dietary Guidelines for Americans (much like Brazil just achieved!) we can begin to make connections between our food system, climate change, and healthy eating. The Laurie M. Tisch Center for Food, Education, and Policy at Teachers College Columbia University has submitted their comments on the new proposal and I recommend giving it a look. They provide a well-written argument for using policy changes to support healthier eating habits through improvements to the food system, and also outline actionable tips for how you can start living and eating more sustainably today. Check it out here! When thinking about what guides your own food choices, I hope you start to think outside the plate! Spring is finally here! What do you do to welcome the season of sunshine? For some people that means breaking out those new kicks and hitting the pavement running, or maybe setting new professional goals for yourself. For me, it means the arrival of fresh, young local produce! It’s been a loooong winter and while I do enjoy my share of sweet potatoes, kale, and apples I sure am excited to welcome asparagus, spring peas, and ramps- and that’s only the green vegetables! The best part about the spring season is all the new varieties of fruits and vegetables that crop up at the farmers market, and I find that the best way to introduce yourself to them is by joining a CSA, or community supported agriculture. Joining a CSA is a great way to support local farmers and enjoy all the seasonal produce that your area offers. A typical spring CSA starts in May or June and provides a weekly or bi-weekly supply of produce until the end of the growing season, usually in November. Becoming a member of a CSA has many benefits for you and the farm you choose to support. The CSA model requires members to pay an up-front fee that will help the farmer cover the costs of purchasing seed and equipment, and ensure a smooth running season. For many people wishing to support local agriculture and enjoy seasonal produce, this up-front cost can seem a little daunting- tell me about it, you’re talking with a student here! Many CSAs have payment plans that allow you to pay in installments, and an increasing number are even accepting SNAP (food stamps) benefits, or implementing a sliding scale. Farmers want as many people as possible to reap the benefits of local food, so they are constantly innovating their membership guidelines to accomodate as many people as possible! And that is another one of the great reasons to join a CSA- the many members you will meet and the community you all form together! Many CSAs require that you participate in a volunteer shift to help out on distribution day or to be an advocate in the community. 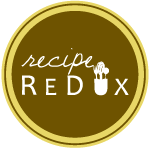 This is a wonderful opportunity to connect with your fellow shareholders and swap recipes, nutrition tips, or other local food news. So, how do you find a CSA that works for you? In New York City, Just Food has made it their mission to provide as many resources as possible to connect you with local farms and food. Check out their map and find details about a CSA near you! Bye bye, Winter CSA! Bring on Spring!